Do You or Someone You Know Suffer from Vision Issues? This is a sponsored post written by me on behalf of SheSpeaks/OneSight about what I consider to be one of the most important health issues, vision care. All opinions are my own. Do you or someone you know suffer from vision issues? Odds are you said yes as an astounding 1 in 7 people around the world need glasses but don’t even have access to vision care. I’ve been lucky to escape vision problems so far in life, but vision care is something very important to me as most of my family members had vision issues and had to wear glasses at least part of the time. Mr. Savvy has had to wear glasses for most of his life. In fact, it was his teachers who noticed he had a hard time reading and should get his vision checked. Luckily, getting his vision checked wasn’t an issue and he was able to immediately get glasses, but so many other people around the world are not so lucky. As I mentioned, a study has said that 1 in 7 people, or around 1.1 billion people, around the world need glasses. This is such a shocking number to me because I can only imagine what a struggle it must be to do even everyday activities when you can’t see clearly. That’s why I’m happy to share information about OneSight today. 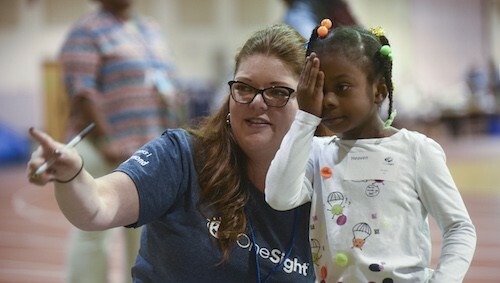 OneSight is an independent nonprofit committed to eradicating the global vision care crisis. I love that their promise is simple: they won’t stop until the world can see. 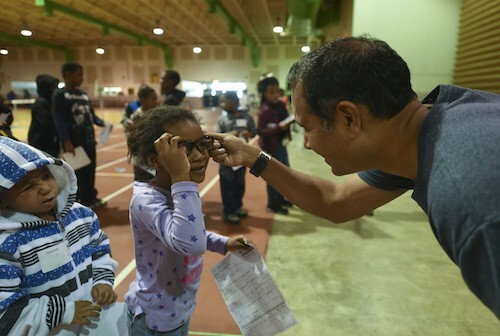 OneSight has a mission to provide access to eye exams and glasses to communities around the world that might not normally have access to such services. They do this by providing quality short-term care and working to implement long-term sustainable solutions. OneSight believes that through permanent access and sustainable practices vision care can become readily available to ever community, country and continent in our lifetime. 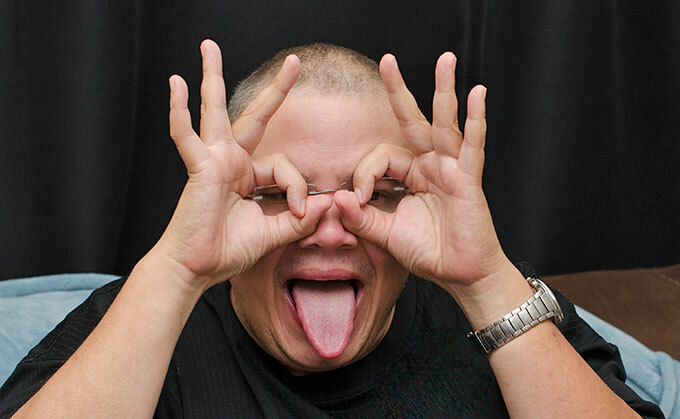 Post your own “hand glasses” photo on social media with the hashtag #HelpTheWorldSee to help raise awareness for OneSight! Over the span of 27 years, OneSight has helped 9 million people in 41 countries and 47 states see clearly. More than 1,000 trained volunteers and doctors have traveled the world to staff OneSight clinics and teach local residents to make this possible. I think that’s pretty cool. 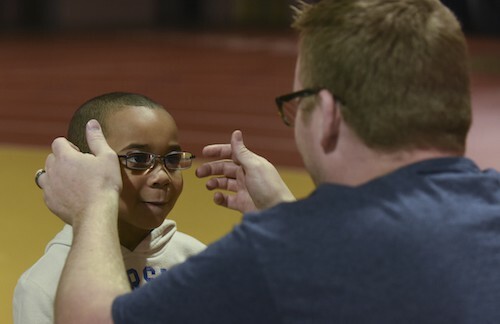 If you’d like to join me in helping to spread the word about OneSight, share a photo of yourself, a family member or friend, or even get your pet involved by using your hands as glasses (aka “hand glasses”) on your social media accounts using the hashtag #HelpTheWorldSee. You can also visit OneSight.org to donate to help the cause. Even just $1 makes a difference!